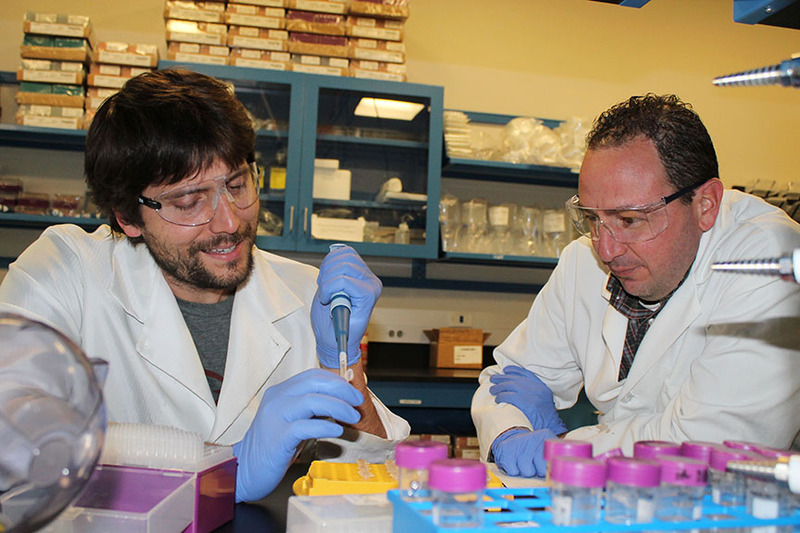 Kinesiology professors Mike Roberts (Director of the Molecular and Applied Sciences Lab) and Andreas Kavazis (Director of the Muscle Biochemistry Lab) recently received an $87,000 research award from the University of Tampa in conjunction with Dr. Jacob Wilson. The project is titled “Effect of a Subchronic Ketogenic Diet on Skeletal Muscle Anabolic and Catabolic Signaling as well as Adipose Tissue Signaling.” Over three months they will study the effects of a high-fat, low-carbohydrate diet, or “ketogenic diet,” on body composition and organ health. Ketogenic diets are low in carbohydrates, contain moderate protein, and are high in fat. Scientists have recently reported that ketogenic diets signal the body to use fat for energy while keeping insulin levels low. The body converts fatty acids into ketones. Then the body uses ketones as fuel for muscle contraction and organ function, while sparing carbohydrates. Scientists have debated the effects of a high fat diet and overall health for years. Recent evidence suggests that a ketogenic diet may increase fat loss and improve overall health by lowering blood pressure, cholesterol, and glucose. Studies have also shown that a ketogenic diet can be beneficial to ultra-endurance athletes who rely on fat for fuel. The researchers will use rodents as the experimental model. Rodents will consume one of three diets: control (low-glycemic, high in protein, and low in fat), Western (high-glycemic), and ketogenic (high-fat, low-carbohydrate). Animals from each of the three diet groups will be subdivided into sedentary or exercise groups. Roberts and Kavazis will use a novel resistance training voluntary running wheel model. This mimics the effects of human resistance training, or weightlifting. A) Does the ketogenic diet promote a greater fat loss compared to the other diets? B) Are markers of health and organ metabolic changes (in skeletal muscle, fat, liver, and gut) improved with the ketogenic diet versus the other groups? C) Does the ketogenic diet stimulate skeletal muscle mitochondria, the energy-producing part of the cell, to be better at metabolizing fat? The answer to the last question might explain why the ketogenic diet promotes more effective weight loss.